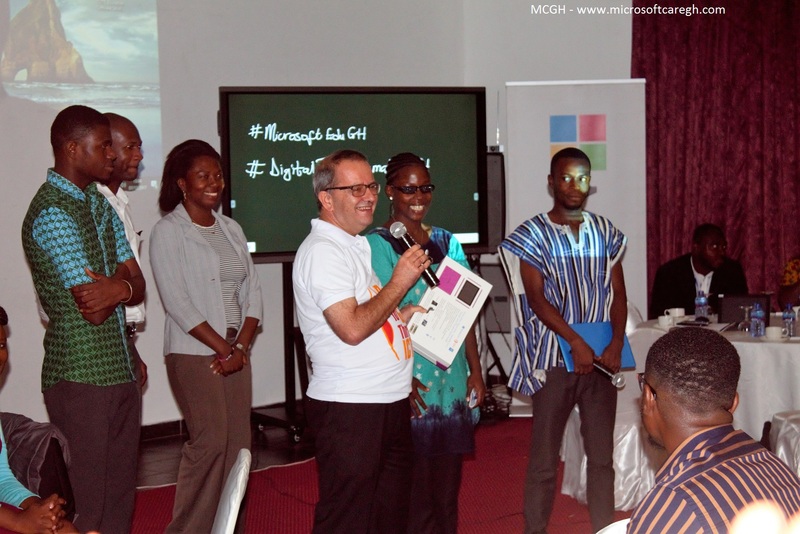 Microsoft held a digital transformation in education workshop in Accra, to introduce its technology tools for education. Organizations and institutions from the government, public and private sectors were introduced to Microsoft’s 365 Education solution. It empowers institutions to unlock creativity and promote teamwork within and outside the classroom. Microsoft 365 Education combines the essentials of the Windows 10 platform, Office 365 for productivity and collaboration and the Enterprise Mobility Suite for security and management. It provides all these within a simplified licensing framework, simple and safe experience in a single and affordable solution. 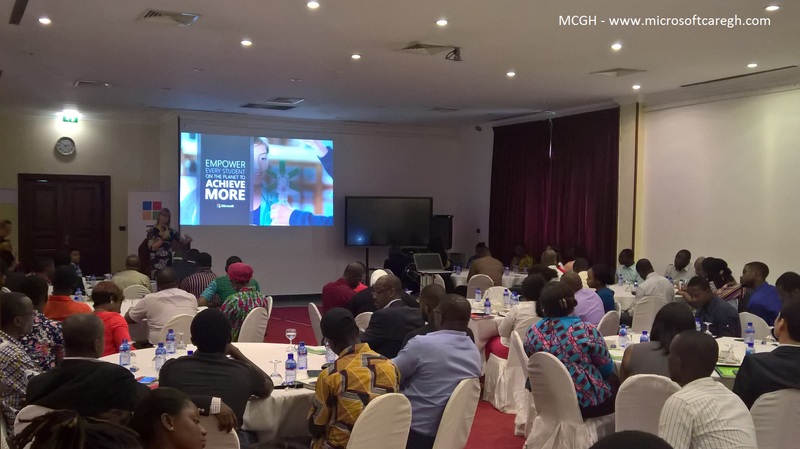 The informative session put together by Zepto Ghana Limited and Point of View Afrique, Microsoft Education partners for Ghana showed educators of all levels how they can leverage technology in these times of digital transformation. Introducing localized and personalized solutions and devices that will suit their needs. 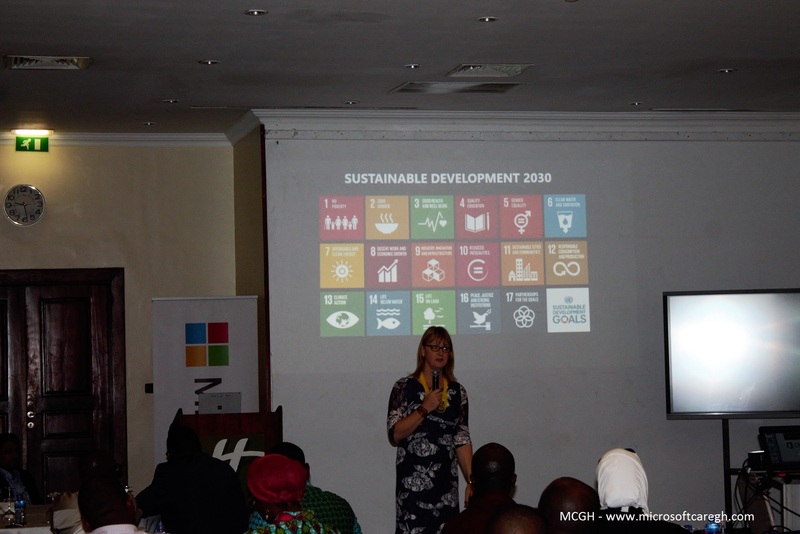 Keynote speaker of the event Jaye Richards-Hill, Business Development Manager, Education, Microsoft EMEA spoke on the Digital transformation of education. She spoke about Microsoft’s vision in Education and scenarios and solutions for digital transformation. 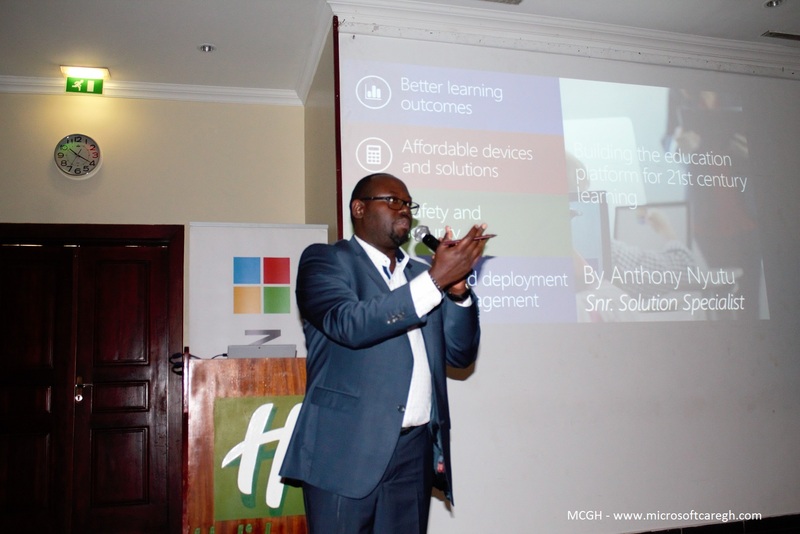 Senior Solution specialist and Microsoft Devices lead Education, WECA, Anthony Mungai Nyutu spoke about Technology in the classroom and building the education platform for the 21st-century learning. Introducing participants to solutions in Windows 10 and Office 365 that make sharing and learning interactive and fun. Demoing mixed reality in Paint 3D, Office Mix in Power Point, game based learning with Minecraft etc. Mr. Mark Pritchard moderating the last give away device contest. The way you build the future is through education, said Mark Pritchard General Manager Point De Vue Afrique and Zepto Ghana Limited. One of the biggest challenge in Africa is not the connectivity or technology but the money,. He said this when talking about how Point of View and Zepto Ghana are trying to fill in that gap. In partnership with EcoBank, organizations will be able to raise the needed funding to purchase the necessary tools and solutions to bring digital transformation to their schools and students. Every government, private or public education partner or provider needs different solutions. Zepto Ghana Limited and Point of View Africa as local Microsoft education partners will help you find the right affordable solutions to transform learning and increase creativity. Other solution partners at the event included Africa Schools Online, Girls Konnekt, Extramarks and ISYX. Check out and join the conversation with #MicrosoftEduGH #DigitalTransformationGH on social platforms.